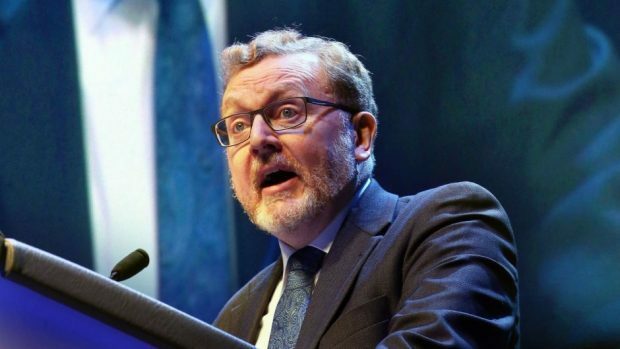 A second referendum on Britain’s membership of the European Union would cause civil unrest across the country, Scottish Secretary David Mundell has warned. Mr Mundell dismissed the argument that a second vote would bring people together and warned it would instead unleash protests “in every town and city across the UK”. The Cabinet minister also called on the EU to make concessions in negotiations over the Northern Ireland backstop, which is an “insurance policy” in the Withdrawal Agreement to prevent a hard border on the island of Ireland. He added: “It’s clear that Theresa May was not able to get that (her deal) through the House of Commons and it wasn’t just by one or two votes, I myself didn’t expect that the margin would be as big as it was, it’s a very, very significant margin. “Of course it has to be readdressed. I’ve always been clear, the EU want a deal, I can’t believe that they really want a disorderly Brexit.